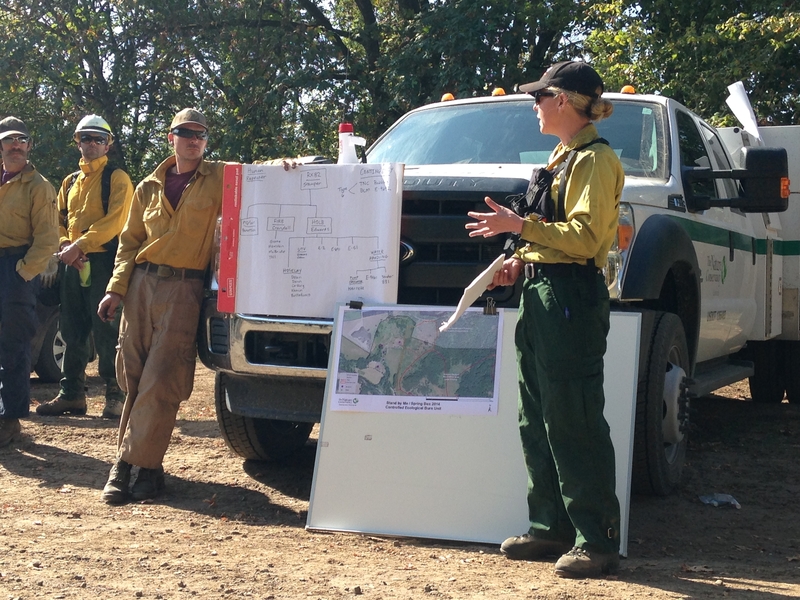 Amanda Stamper, The Nature Conservancy's fire management officer in Oregon, gives instructions to a crew. 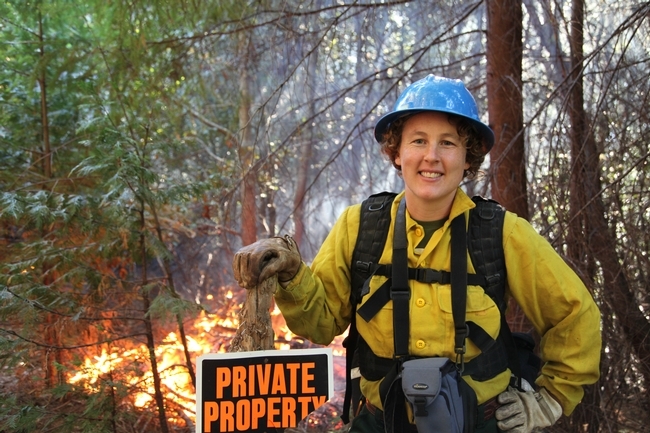 Women hold only 7 in 100 wildland fire leadership roles. On Monday, Oct. 17, participants will gather in northwestern California for the first-ever Women-in-Fire Prescribed Fire Training Exchange (WTREX). The 12-day hands-on prescribed fire training, modeled after similar TREX events that take place across the country, will include participants with a full range of fire qualifications—from beginners to seasoned professionals—and from a diversity of backgrounds, including federal and state agencies, non-governmental organizations, tribes, universities, and more. Participants are traveling from 12 different states and four countries, and will include 38 women and six men. This event will transcend the usual TREX emphasis on cooperative burning and learning; it will explicitly recognize and reinforce the importance of female perspective and leadership in fire management, and provide a supportive environment for women and men to understand and elevate the need for diversity in fire management—not only in numbers, but also in approach. WTREX participants will serve in qualified and trainee firefighting positions to implement prescribed burns throughout the region. They will complete pre- and post-fire monitoring, train with equipment, practice fireline leadership skills, and learn about local fire ecology and fire management. The training will take place in diverse forest and rangeland ecosystems across northwestern California, including open prairies, oak woodlands, mixed-conifer forests, and chaparral, and include field trips to areas burned in recent wildfires and to prescribed fire and fuels treatment project sites. It will also feature presentations by local scientists and land managers, and women who are leaders in various aspects of fire management. WTREX participants will set prescribed burns, complete pre- and post-fire monitoring, train with equipment, practice fireline leadership skills, and learn about local fire ecology and fire management. 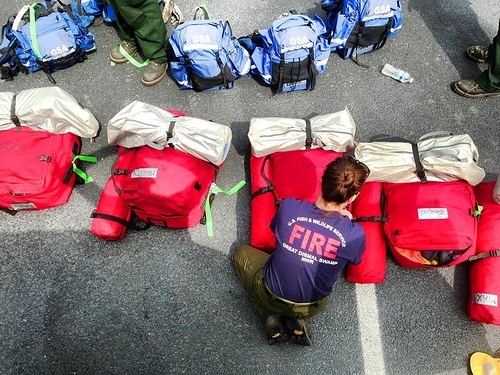 In recent years, there has been an increased effort to recruit women into fire, yet women still constitute a relatively small proportion of the workforce, filling only 10 percent of wildland fire positions and 7 in 100 leadership roles. Women often find the dominant fire management system to be dismissive of female perspectives and strengths, even as its increasing complexity requires fresh approaches and insights. The WTREX invites both women and men to explore the growing role of women in fire management, while conducting prescribed fire operations designed to advance their formal qualifications in wildland fire management and enhance their understanding of fire ecology and effects, communications and outreach, prescribed fire policy and planning, and more. For WTREX updates, follow the hashtag #wtrex2016 on Twitter or the Facebook page of the Northern California Prescribed Fire Council. For more information on the council, visit www.norcalrxfirecouncil.org or contact Lenya Quinn-Davidson, UC Cooperative Extension advisor and fire council director, at nwcapfc@gmail.com. This training is supported by Promoting Ecosystem Resiliency through Collaboration: Landscapes, Learning and Restoration, a cooperative agreement between The Nature Conservancy, USDA Forest Service and agencies of the Department of the Interior. For more information, contact Lynn Decker at ldecker@tnc.org or (801) 320-0524. In extension, academics must communicate science effectively to the general public. Throughout the United States, Cooperative Extension's 13,000 academics use new technologies to help solve problems faced by farmers, industries, natural resource managers and local communities, reported John Tibbetts in the AAAS publication Science. The article included the thoughts of two relatively new UC Cooperative Extension academics and outlined a new UC program to support graduate students interested in cooperative extension careers. Distinct skills are needed to be an effective cooperative extension academic. The role requires the ability to know and understand how to work with and through people, how to bring about change in communities and how to engage buy-in at the grassroots level. "You should have good listening skills," added Lenya Quinn-Davidson, UC Cooperative Extension area fire advisor based in Humboldt County. Quinn-Davidson also said she likes the diversity of her job. “I can be out in the field and then do a radio interview, work on a grant application, or host an event, and I'm always building relationships," she said. 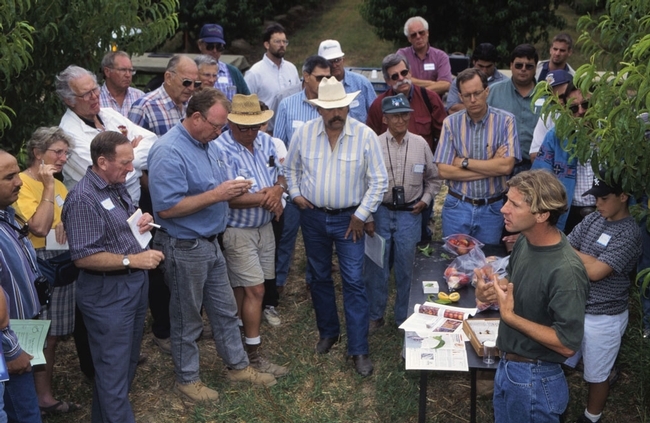 John Battles, forest ecology professor at UC Berkeley said Cooperative Extension can offer an alternative academic career track for many students, but they need a way to learn the skills needed for extension success. “In extension, you must communicate science effectively to the general public, and you don't have a 50-minute lecture to do it. You need to know how to facilitate a productive discussion in a public meeting, how to run that meeting so that everyone is heard,” he said. To prepare students for extension jobs, UC Berkeley launched the Graduate Students in Extension program. The internship offers up to a year of funding for graduate students to conduct applied research projects and learn the principles of outreach. Tapan Pathak, UC Cooperative Extension specialist in climate change adaptation in ag, also commented Tibbetts' article. He said extension specialists have the academic freedom to undertake research in their field as long as it addresses the needs of their clients.